Under the cover of darkness, the two survivors ran up to our camp in search of a radio. 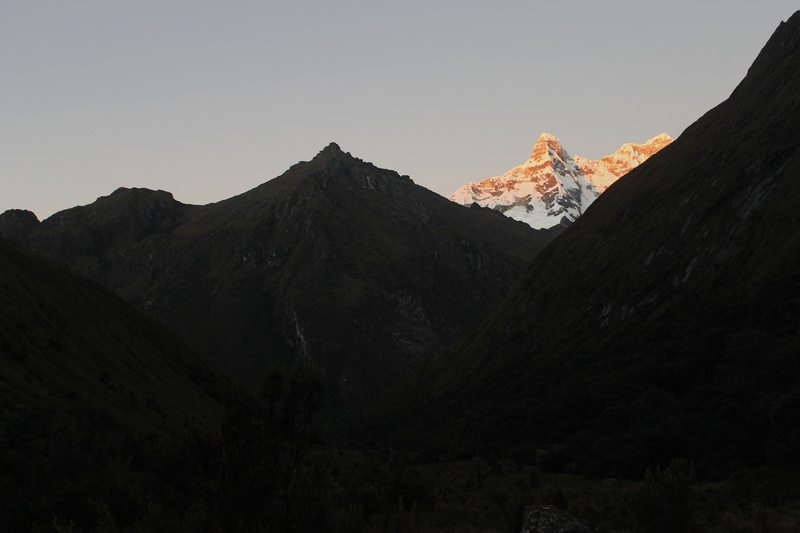 It was late evening on the second night of the trek. Halfway through and in a mountain basin several hours from the nearest town, we learn that the boom we heard echo through the mountains earlier had been an avalanche. Within a short time it was determined there was no radio in our camp or any of the half dozen surrounding us. We poured tea and pulled what food we had to give as the men sat silently, shock worn on their faces. The minutes that passed were tense and whispered. We touched their shoulders and said good luck as we watched them set off at a steady pace into the night behind our own guide. 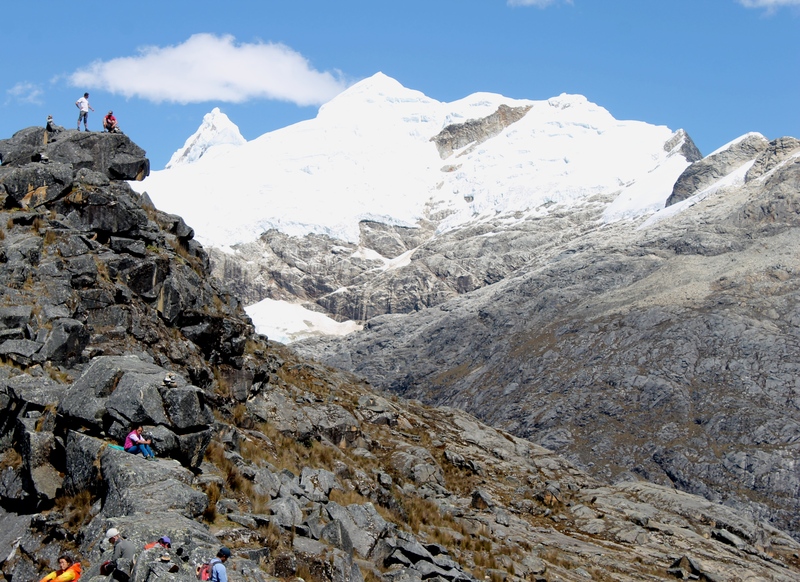 There’s no question that the well-traveled hiking enthusiast knows of the many and varied hikes along the Cordillera Blanca, the Peruvian Andes, from Huaraz, Peru. 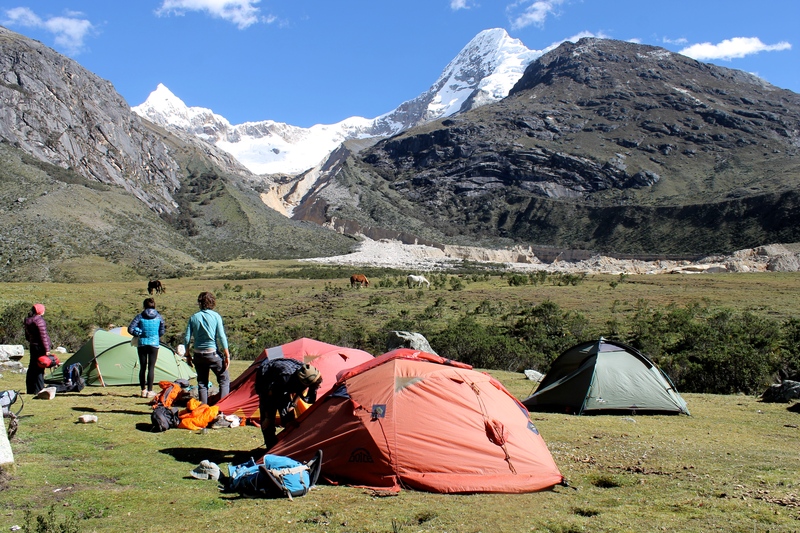 Santa Cruz, a moderate four-day trek covering roughly 30 miles, welcomes travelers of varied physical ability and budgets into this less trafficked wilderness within a country teeming with Machu Picchu tourists. There are three times I can specifically remember hating that I was traveling alone. All three times I was en route to a destination in hopes of serendipitously meeting a few people that would welcome me to join them on a tour of the Bolivian Salt Flats, jungle and in this case, Peru’s northern mountains. All three times also ended in success. 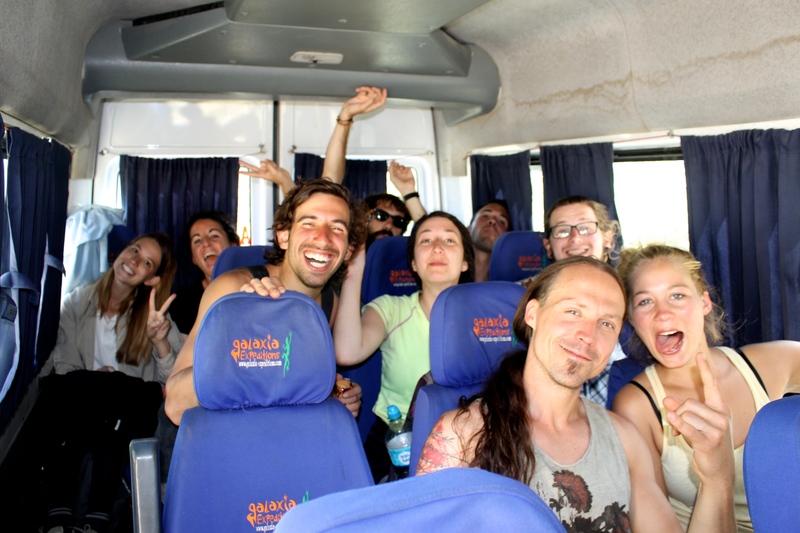 Between the bus ride from Lima to Huaraz and cozy Monkey Wasi Hostel, I’d met three Israeli men and a beautiful French couple welcoming and hoping to quickly book a tour company to lead them along the Santa Cruz Trek. I had a bed pre-booked at Monkey Wasi and the boys had heard from a guy there about another guy they could buy weed from around there. They were nice enough, I wasn’t picky, and I now had the beginnings of my group before even stepping off the bus. Our group randomly assembled from around the world. Every city offshoot for tourists searching out tours is insanely oversaturated with companies. 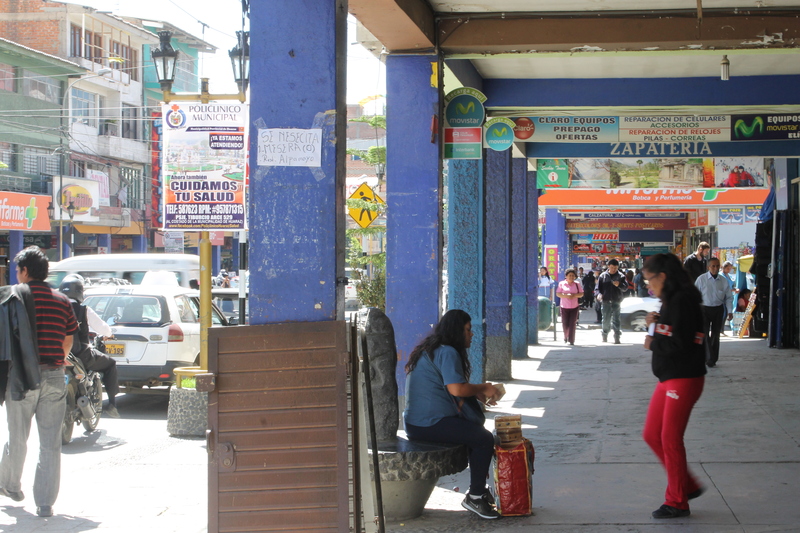 Walking around Huaraz, they’re on nearly every corner promising great gear and guides. We settled on Galaxia’s offer of four days three nights at the price of 90 soles per day (30 USD) plus the park entrance of 65 soles. They had a group leaving the next morning so we paid, signed and agreed to be ready outside the Monkey Wasi come 5:30am the following morning. 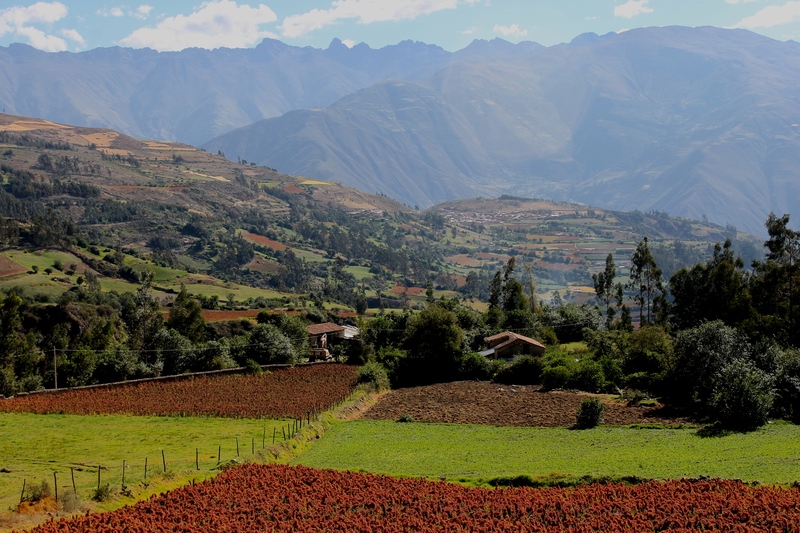 Huaraz is a hilly town with surrounding mountains everywhere you look. Take a long walk, visit the many artisans, and get a taste of the local cuisine. 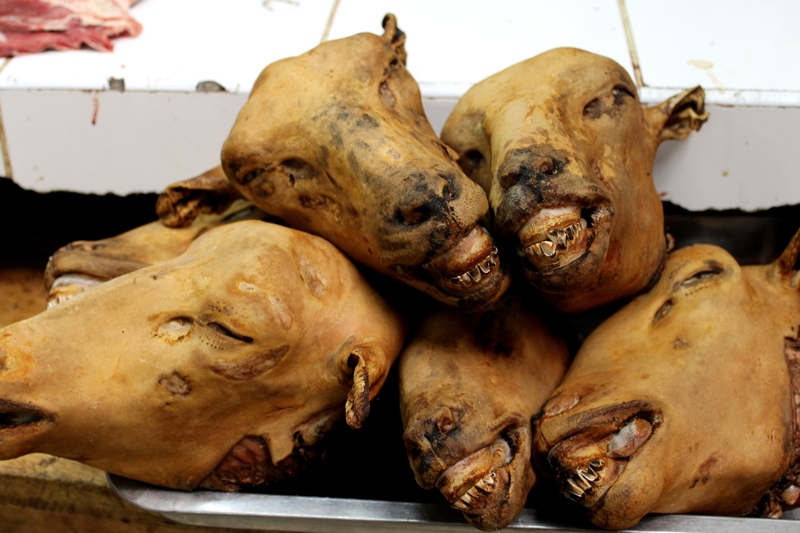 Just beware that a glimpse of their meat market may differ slightly from the deli section of your local grocery store. We filled a bag with fruit we planned to eat for breakfast, had a barbeque and relaxed knowing we had an early wakeup call. 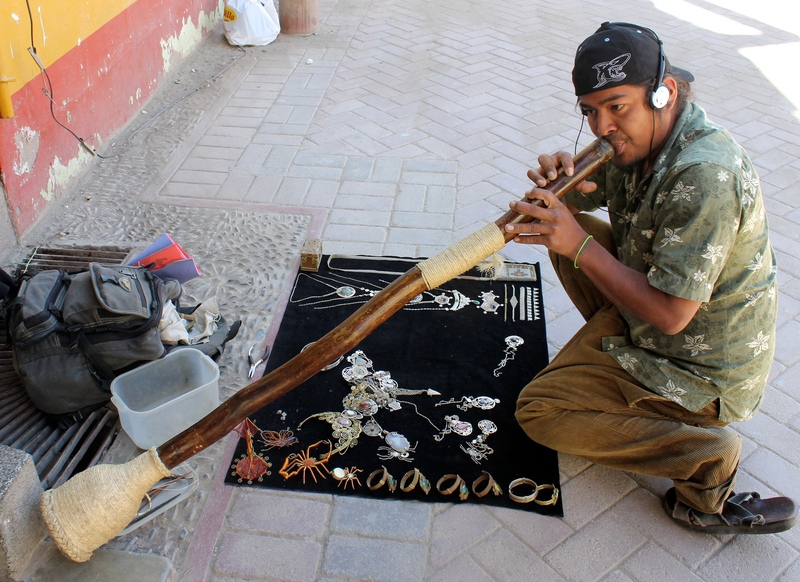 Huaraz artisans with jewelry and musical instruments. Breakfast the next morning was unanimously agreed to as an overly ambitious plan as we groggily shuffled into Galaxia’s waiting bus. Every two people were allowed one bag as everything else was locked in the tour company’s back room for our pickup upon return. They advised layers, warned that the nights were cold days hot, and water bottles a must. Though there weren’t showers, there would be streams so pack a bar of soap along with any snacks. Nir has the big, unmistakable smile. Tip: The single quickest way to make friends is carry and be generous with Nutella. Seriously, everyone knew Nir’s name from the start and later more easily forgave him for his incessant talking and childlike behavior because of that Nutella. 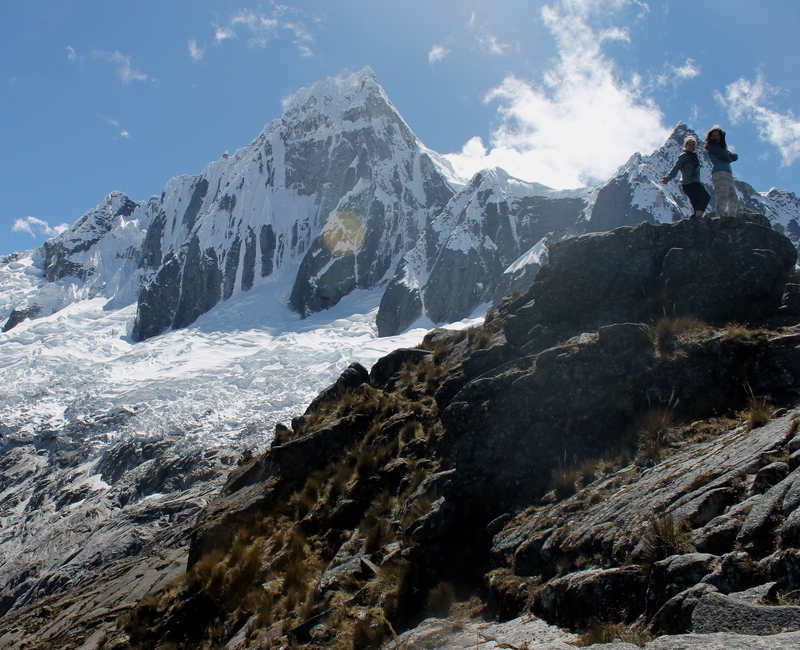 The Inca Trail is easily the average person’s first thought when it comes to hiking in Peru. 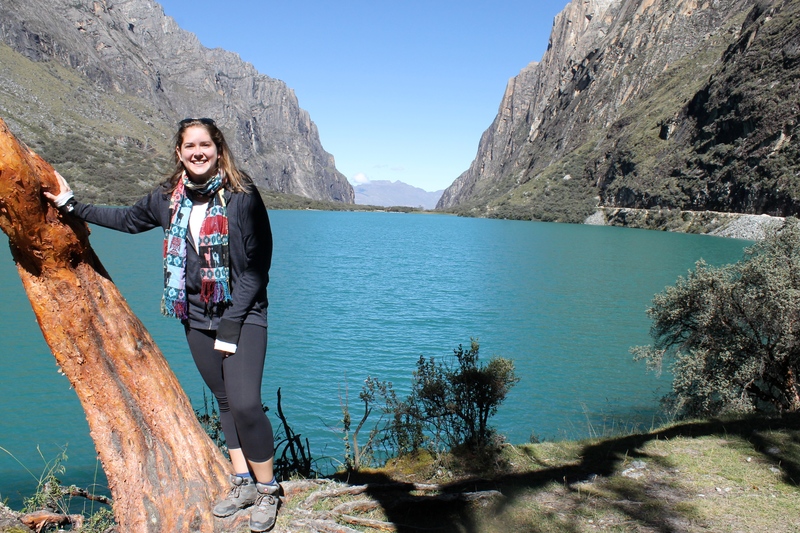 While Huaraz doesn’t have Machu Picchu, its varied options in treks, cost-friendly prices and a landscape that often looks too stunning to be real are more than enough reason to add it to your bucket list. 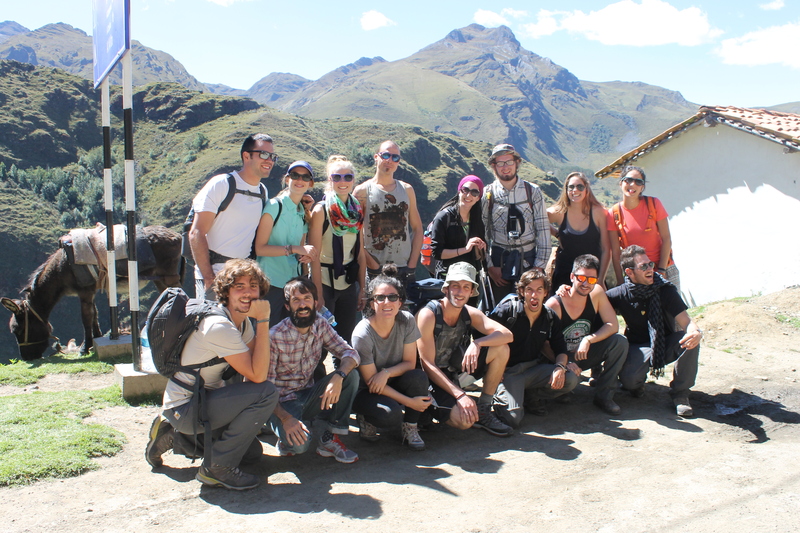 Sometimes we get excited looking at pictures and forget about what it actually means to set off on a four-day hike. A healthy dose of reality can be a good reminder, for example, hopefully your guide doesn’t stand uncomfortably close and ask if the men in the group are treating you like the flower you are? Gag. The bus’ first stop inside the park! While that can usually be dodged, what can’t is every morning’s struggle to decide how cold you were willing to be versus how many layers you were willing to carry later when the sun was up and scorching. 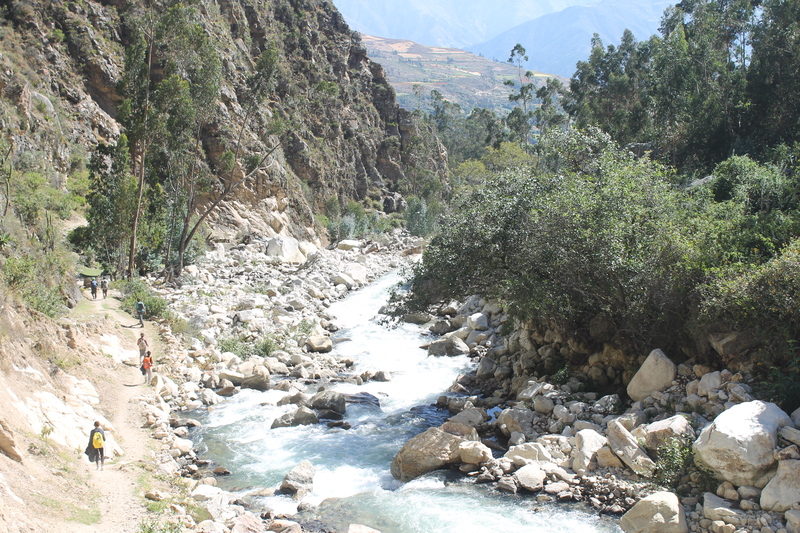 Sunscreen stood no chance against the hours of walking, and coca leaves did their best to alleviate the altitude. Our guide was a pushy, mechanized mountain goat of a man that never stopped or slowed down but became a tiny pinprick on the horizon to curse as your feet tripped over stones. And the best, somehow not a single one of us in our group of 15 had been told that lunch was not included. That’s a tough pill to swallow after 6-8 hours of exhausted hiking. Make sure to ask all the standard and moronic questions you can think of before heading out on your tour. All things considered, I wouldn’t trade my trip for any other. Day 1 someone challenged a skinny dip into a pond full of freezing, manure soaked water. Three of us answered. Day 2 felt like the hardest thing I’d ever done. My legs and brain wanted to shut down and one of the Israeli boys would encourage me to pick my head up, I could do it. 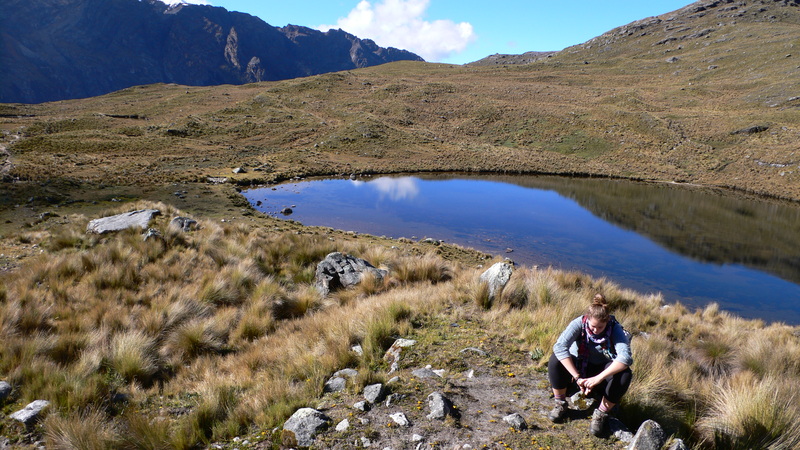 That afternoon we stood high on top of a rocky mountain ledge that straddled a turquoise lake to the right, snowcapped peaks behind us, and heart shaped natural ponds to the left. One young man carried his guitar and started to play as another group sat with us listening and reveling in what had to be the feeling of bliss. As we walked, the landscape transformed from desert to rainforest green to rolling pastures. We stayed up with hot mugs of tea to stare at the stars until sleep won out. Lucie from France and I celebrating the view! Our days started too early with only our headlamps to light our way, yet no one minded when we paused to watch the sun rise over the mountains casting them into dark silhouettes for only a brief moment. When the final leg of our hike brought us to a natural hot spring, tired, burned, and sore, we laughingly tried to convince our guides to let us stay forever. And in the middle of it all, we were reminded that Mother Nature’s beauty often dangerously distracts from her unpredictability. Two Italian climbers, Enrico Brogli (29) and Mateo Tragliaquili (27) lost their lives halfway through our trek. It was the second night and though we would have preferred the warmth of our kitchen tent and tea, we were convinced to see nearby caves and hear ‘spooky true stories’. Grudgingly agreed, and were getting ready when we heard the two men run up to our camp. 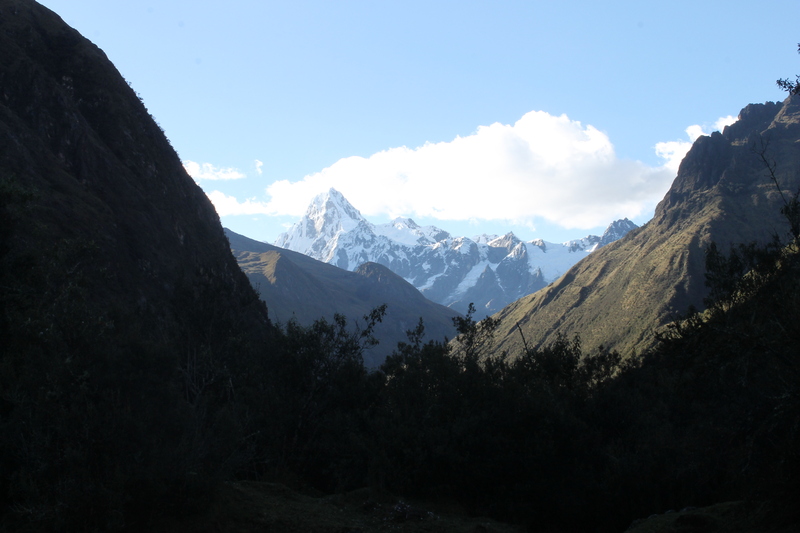 We were told that they had been ice climbing with their two friends and reached the top of a 6,000 meter tall mountain when the snow started to move. How could our guide have no radio, how could no one else have a radio? We couldn’t believe it, where we come from there would be safety measures and a plan, what was the plan? It was dark and growing colder while the two men in our camp sat in silence as our guide prepared to immediately leave with them. Our thoughts were devastating; what they knew that the families still did not and the message they were burdened with to send home. It’s always in death that we’re convinced to pause our busy lives and realize gratitude for what and who matter in life. “I won’t sleep tonight,” said the French boy to his girlfriend, “I can’t believe it, there is nothing we can do”. That night I was thankful for our guide’s relentless pace knowing the adrenaline would help the two men follow on their eight hour trek through the night. The cooks didn’t speak English but knew the way and would guide us, we would be fine. 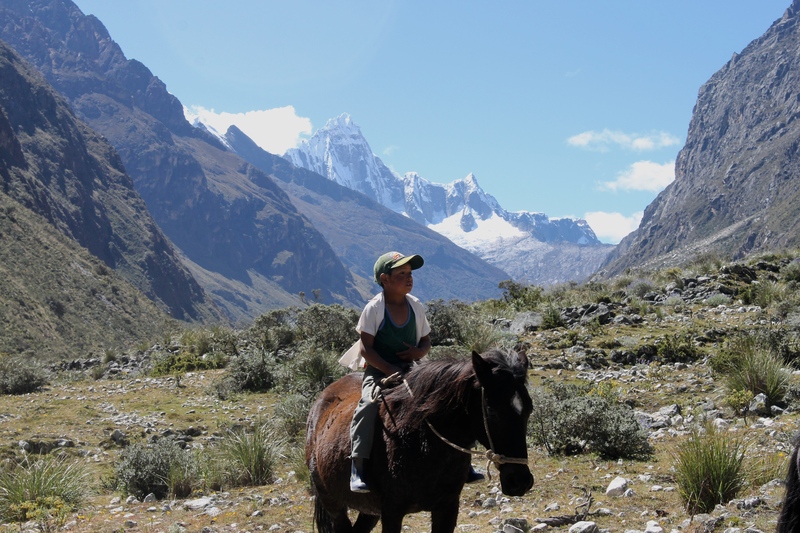 The following day we came across a rancher with his two young sons. I gave them a packet of cookies as they pointed to their horses smiling and saying, “Embarazadas!” their horses weren’t fat they explained, but pregnant. With kind gestures, they invited me to ride with them and for nearly an hour I did. We camped behind a home just outside of town that night, drank beers, played cards, guitar and felt comfortable in one another’s company. I had gone alone and now said goodbyes to friends from Israel, Spain, France, Canada and Germany. 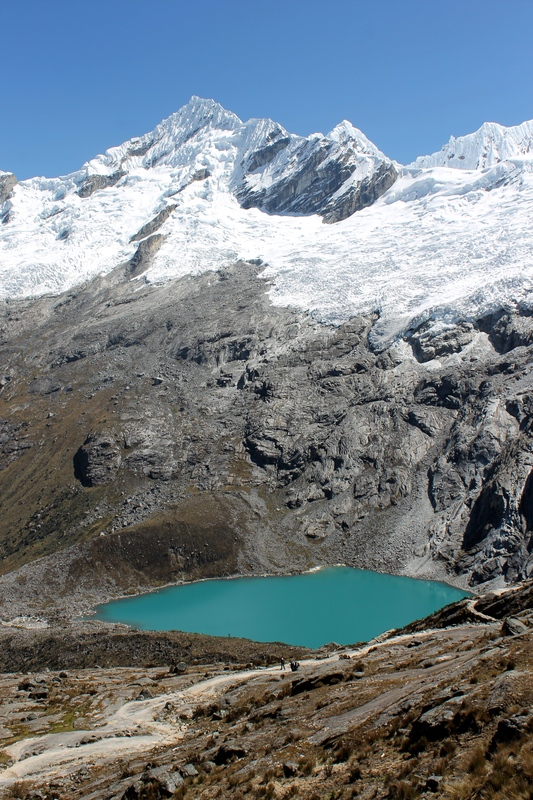 We didn’t often speak of the ice climbers after that night, but I know they will always be there in our minds when we think back on the beauty and brutality of the Cordillera Blanca mountain range. View from our final leg of the hike.